Wayne Hyde, CAVD - EI Live! Wayne Hyde is an audio professional who’s experience uniquely fuses the pro audio, studio, surround sound and hifi markets. Wayne made the change in 2005 after 15 years touring as a live sound engineer, to start in sales of residential AV and CI systems. System design and project management naturally followed whilst working for some of London’s top integrators. 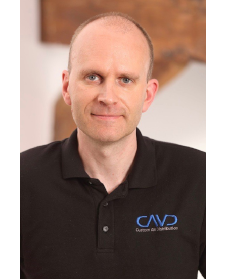 At Custom AV Distribution, Wayne provides dealers with technical support, audio calibration services and runs the demonstrations in the CAVD showroom.